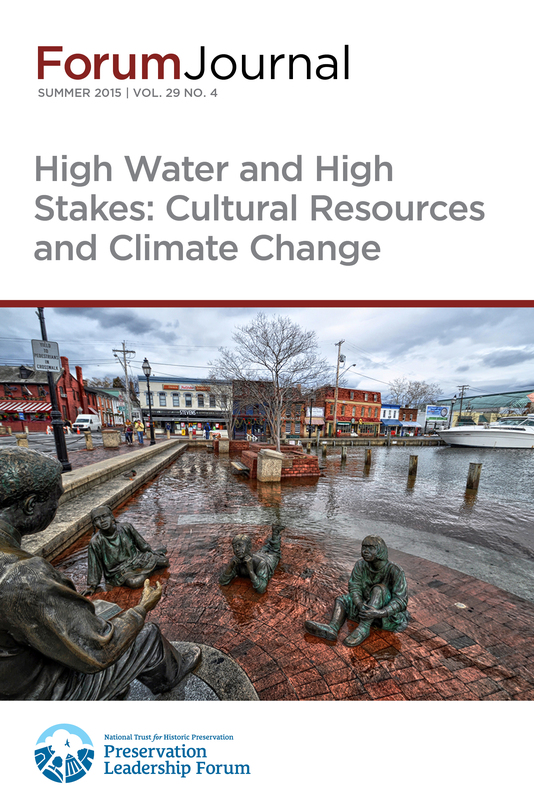 Historic communities, landmarks, and cultural resources have a new set of challenges: those related to climate change and sea level rise. New adaptation and mitigation tools and models are needed to support communities as they learn to adapt to a new normal. Climate change and resilience represent key issues in modern preservation, ranging from incorporating historic places into adaptation and mitigation planning to understanding intangible heritage and loss of cultural attachment to place in the face of land loss. The impact of climate change on America’s historic resources and communities is vast and complex. Learn more about the National Trust's work on climate change. To connect the shared experiences of Americans facing the dramatic transformations of climate change, the National Trust has partnered with Victoria Herrmann, a National Geographic Explorer, as she travels around the U.S. and its territories interviewing communities directly affected by shoreline erosion and climate change. The summer 2015 issue of the Forum Journal looks at climate change and sea level rise and what they mean for historic resources now and in the future. Discover what communities are doing to mitigate the effects of sea level rise, and find out about changes to the National Flood Insurance Program and how these changes will affect historic properties. Enhanced content in this issue includes a webinar and three interactive maps that paint a dramatic picture of coastal flooding and its impact on historic resources. The Climate Heritage Coalition met for the second time during the Keeping History Above Water Conference. A wide array of attendees, from national to local city-wide organizations, participated in the discussion. There are various mapping resources that illustrate the effect of sea level rise on communities across the United States. Essential to the discussion about the risk of climate change is an acknowledgement that the digitization of data is imperative in identifying and protecting cultural resources.